In the world of training and development, subject matter experts (SMEs) can be an invaluable resource. When companies are focusing on instructional design, an SME can be a great asset to have because of their level of specialization and expertise. We’ll cover what to know about hiring an SME, particularly for instructional design for employee training and development, but first, what exactly is the role of an SME? An SME is also called a domain expert, and it’s someone who has a sense of authority or expertise in a particular area. SMEs are usually hired when a company needs to develop materials. SMEs might be used to develop materials that will be used outside of a business, such as a software training manual for customers, and they’re also used in the creation of employee training and development materials. SMEs can take on the workload of developing new employee training materials, or they can be brought into the mix to check the content being delivered to employees and make sure it’s accurate. The scope of the work an SME does can vary significantly depending on the needs of the organization. When a business is developing complex or large-scale training materials, they may work with multiple SMEs. A lot of businesses might wonder why the work of the SME can’t be handled by someone internally, but there’s such a level of specialization that comes with hiring an SME in a specific area that it’s really difficult to get that from an internal employee. Another reason it can be better to hire an SME when creating employee training and development content is that it can shorten the length of time it’s going to take to get the project completed. Your internal employees have other responsibilities, but if you bring in an outside contractor or freelance SME, they can focus much more of their time on your project. Rather than it taking months to complete, that timeline can often be shortened to weeks. There’s also the sense that SMEs that are hired on a contract or freelance basis can bring a fresh sense of perspective to a project, particularly when it involves corporate instructional design. Sometimes the people within a business can become so used to the work they’re doing that they’re not able to look outside of their perspective and create strong training and development content. 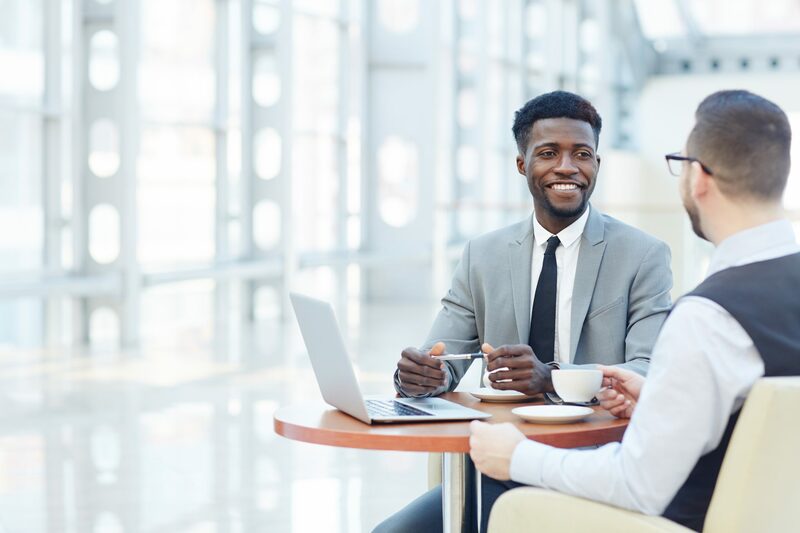 A fresh perspective can be valuable to help deliver more effective training that’s going to resonate more with employees and particularly new hires who aren’t familiar with the business yet. So, how do you go about hiring an SME who’s going to bring value to your organization? When you decide that it’s best to bring an SME into the mix for your and training content creation, there’s a lot of think about. First, the person needs to be an expert in the subject matter they’re creating, but what about instructional design as well? Do you want one person who can do both, or do you think it’s better to split it up and have one SME create the actual content, and someone else do the instructional design elements? This is a big consideration for a lot of businesses. If you’re going to hire someone who does both the content and the overall instructional design, they’re going to need to be familiar with how adults learn and various theories related to adult learning. That person is also going to have to be comfortable working with a learning management system to add and update content. It’s going to be difficult to find a professional who is both an SME and who also has the skills necessary to do instructional design, so you may be limiting yourself during the hiring process if you want someone with both sets of skills. Adult learning theory is unique and can be difficult to master. The best recommendation is to split the work up. Along with determining the scope of the work you need done, when you’re hiring an SME, you’re also going to need to be clear and specific on everything you need and want in general before you start looking. Otherwise, the hiring process is going to be disorganized and ineffective. Once you do know what you need and you can clearly convey those needs to candidates you’ll have to decide what criteria will determine whether or not someone is a good fit. Say you want to hire an SME to write an article like Training Your Employees to Prevent PR Nightmares, clearly you should lay out parameters about the topic, the number of words or even any type citation formats you will need. There are the standard ways to assess someone’s skills, such as looking at their previous work and speaking to references. Beyond that, when you have a shortlist of SME candidates, you should also give them a test project. A lot of times an SME might have the right skills and background, but they’re not able to bring it all together in a way that’s going to allow them to create strong learning and development content for your employees. During this time, you’re also going to have the chance to see how the potential SMEs approach each project, which will help you determine what level of participation and involvement you need to have. If you are going to be hiring multiple subject matter experts to work together on a training and development project, how are they going to work with one another? When hiring, make sure they would be comfortable working with someone else and come up with a process as to how they’re expected to collaborate. As you’re hiring an SME, you have to think beyond their technical skills. During the test project, you should be looking to see if the way they do things is going to resonate with your employees. Is the subject matter expert creating content that’s in a style and voice your employees are going to understand and be able to engage with comfortably? Hiring an SME can solve a lot of the challenges that come with instructional design and content creation for employee training. They can save time, and can also work to create more effective content. However, before hiring an SME, you should think about the scope of the work, what exactly it is that you hope to achieve, and you should take the time during the hiring process to assess whether or not a potential SME is an optimal fit for your organization and your needs.